More than just the sun-kissed beaches, stunning rice fields and breathtaking waterfalls, the temples in Bali should also be on your list of places to visit while you visit this tropical paradise. Known as the “island of a thousand temples”, Bali is adorned with many Hindu temples scattered all across the island. It’s not a visit to Bali until you immerse yourself in a spiritual experience, by seeing these incredible structures. Some temples are located on the coast, some are built on the edge of the rock, and some are situated on the highlands – each armed with a unique historical background or even a mythical story. While there are more than a few unique temples in Bali, here are the most iconic ones that you should definitely visit. 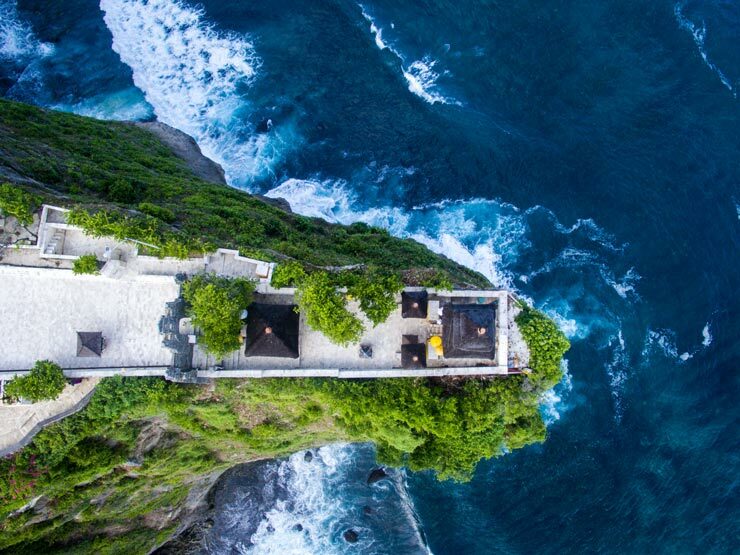 Built right on the tip of a rock, 70m above sea level, the Uluwatu Temple boasts stunning picturesque sunset views while overlooking the crashing waves below. A visit to this temple will let you see a mix of beautiful shrines, gardens, and archaeological remains. 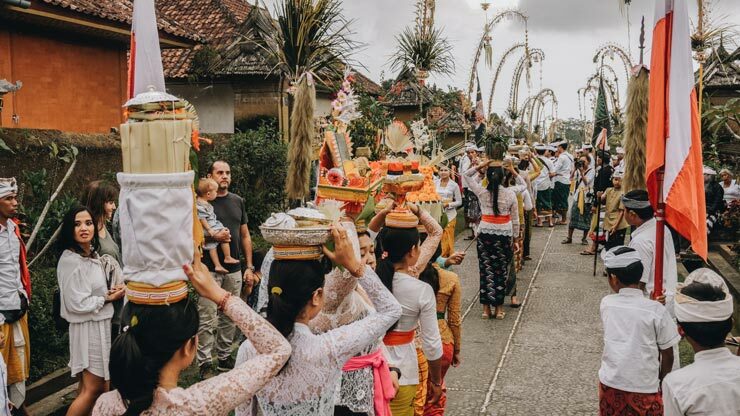 In addition to the spectacular sunset scenery, the Uluwatu Temple also regularly hosts one of the best traditional Kecak dances, a spectacle you don’t want to miss. The Kecak dance is performed daily from 18:00 to 19:00 so, to get the best experience, make sure you visit this temple before sunset. 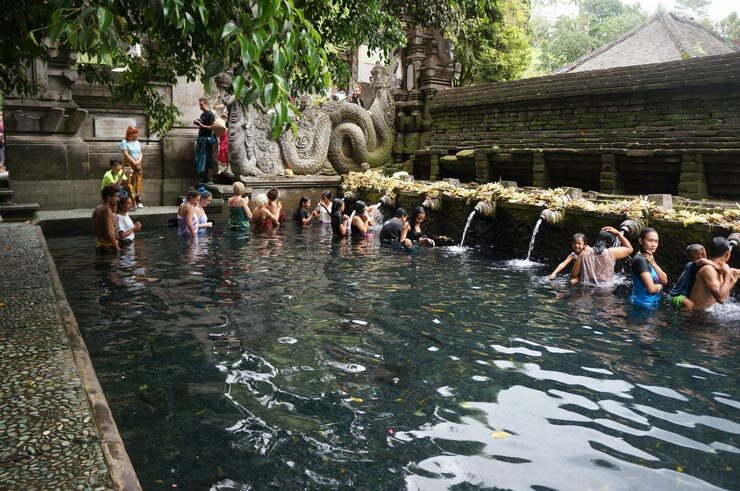 Tirta Empul Temple is quite a special one in Bali, drawing thousands of visitors annually. The temple is built around a sacred spring, which flows into a pool of natural spring water, making it the main attraction for travelers. The pool of water is believed to be holy water, used for purification rituals by local Balinese, bringing sanctity, tranquility and luck. A view of travelers wearing sarongs while lining up to receive a blessing, is a very common sight at this temple. Located in Gianyar, the Tirta Empul Temple is no doubt one of the must-see temples in Bali. Famed as the holiest temple, the Besakih Temple is also Bali’s largest and most significant temple complex. Comprising of more than 80 temples, you will need at least a day to explore the whole temple compound. Located on the slopes of Mount Agung, Bekasih also offers you magnificent views of mountainous terrain, streams and picturesque rice fields that will no doubt take your breath away. Make sure to bring your camera when visiting this temple complex! 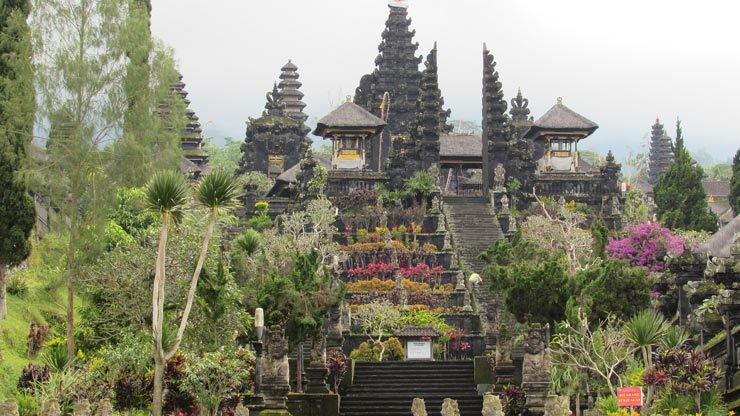 If you are traveling to Bali, make sure you have these 3 temples on your to do list! Stay with us at Sun Island Bali and explore the best of what the island has to offer. Choose from a different variety of accommodation options from hotels, resort and boutique villas all located in prime locations in Bali.